see blog below...but think I should yet again mention that I am obsessed! I met Mr. Gunn on the streets of NYC. He was so friendly and nice. 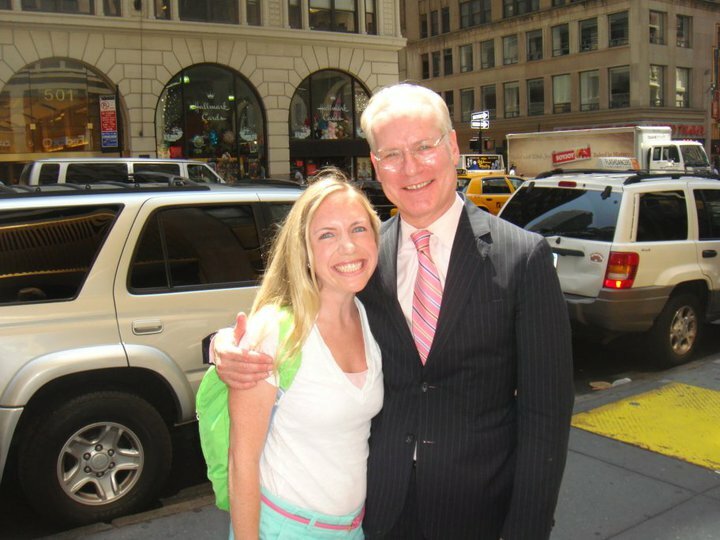 Even though he was clearly in a hurry (probably on his way to meet Heidi) he stopped and took a picture with any fan that asked for one! This is another picture taken by my handsome photographer Josh. This picture (also taken by Josh) was taken at a movie premiere that my dad got tickets to. 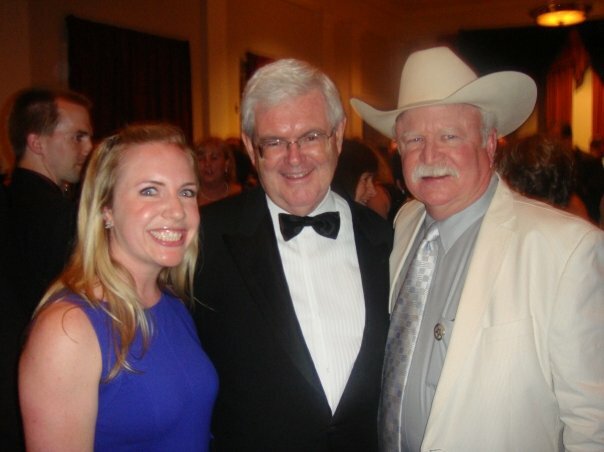 It was the first time I met Speaker Gingrich, and I was able to do so because of Josh. Callista Gingrich used to work with my handsome boyfriend...it helps to date someone with connections. I have since met Speaker Gingrich two more times...he is very nice and approachable. There is also talk of him running for President of the United States in 2012...I seem to be drawn to Presidential hopefuls (see below). This brings me to Senator John McCain. I campaigned for Senator McCain during the 2008 Presidential election, and although I helped coordinate a rally he attended, I never actually met him. This all changed one fateful day. I was on my way to take a picture with another senator (and my future employer...John Cornyn) when my intern spotted Senator McCain waiting for the Russell Train. I did not want to go over, but Ben, my intern, told me this was a once in a lifetime chance...and he was right! 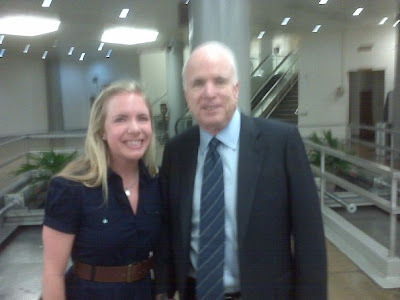 We spoke to the Senator for several minutes, and then Ben shot this picture using his blackberry. Thank you Ben for convincing me to "Carpe Diem!" REK's daughters (they are sweeties) attend Camp Mystic, the summer camp that I have attended as a counselor and camper for 10 years. On one of his visits to DC, I decided to wait till the end of the night to say hello and mention that I knew his daughters. He LOVED it! My friend Mark and I were actually the only people in the group that he stood up for! Thanks REK! I love your music, and I love your daughters! 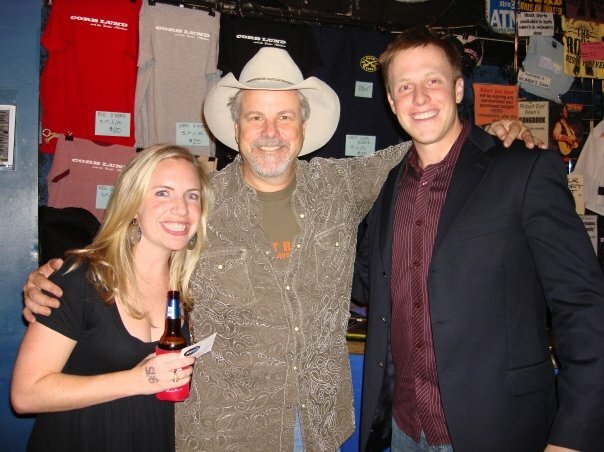 I love Randy Rogers, and I have seen him perform in Texas as well as DC several times. 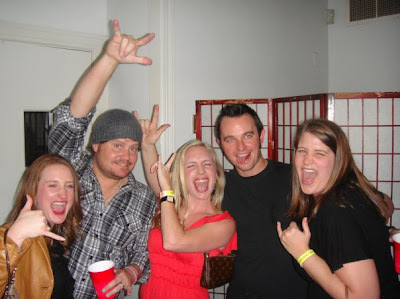 The great thing about Texas country concerts in DC is that you almost always get to meet the band afterward....needless to say...they love us! 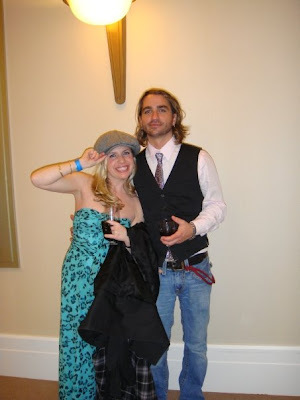 I was able to meet Cody Canada all because of my friend Mark (seen above in the picture with REK.) 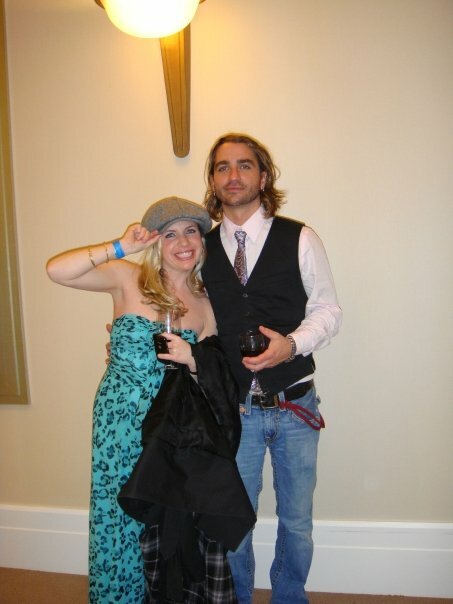 They performed at the "Black Tie and Boots Ball" in 2009, and Mark's college roommate was in another band that performed as well. His roommate snuck us backstage...and I got to wear Cody's hat! Mr. Robert Duval (Bobby)--My dad is friends with Bobby, who lives up here in the DC area. Whenever my dad comes to visit me he usually also tries to visit Bobby....I am starting to think he would rather see him than me...but I think that is because I get my "famous people psychoness" from my father. Ted Danson--When I was 5 I met Ted Danson. I was in Austin with my mom at a restaurant, and although I had NO IDEA who he was I could tell he was famous. While my mom and her friends were chatting I wrote a note on a napkin and gave it to a waiter. I asked him to deliver the note along with a sand dollar from my treasure box (I carried it everywhere) to Mr. Danson and his lady friend. It turned out this lady friend was Mary Steenburgen (his now wife) who was in Austin filming the movie Powder. Ted and Mary asked the waiter to bring the "mysterious" author of the note over to their table. I went over, and they thanked me for the sand dollar. After they asked me a few questions, they gave me back the sand dollar and told me that they would rather me keep such a precious gift. Ted then signed the back of a receipt for me, and I went back to my table. I was ecstatic, and that receipt is still in my treasure box. Sadly, I didn't get Mary's autograph because I didn't realize she was famous till much later. I hope you enjoyed my famous people shout out. 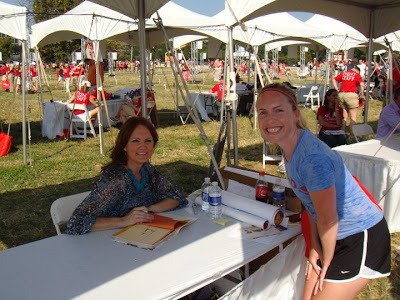 I am sure there will be plenty more to come, and I know I will never outgrow getting "Star Struck"...even when I am one!!!! Haha! You will be an AWESOME famous person!